It's hardly a secret that President Barack Obama and his family like to spend their Christmases in Hawaii. They arrived in Honolulu on Friday, Dec. 16, 2016, for their annual Christmas vacation, just as they've done every year since Obama took office. So how much do these vacations cost U.S. taxpayers? A lot, actually, but the president has a hard job so it can be said that he deserves a nice break now and again. No first family can go anywhere without an entourage of Secret Service protection. We can take their salaries out of the equation because they guard the family under all circumstances, not just on holidays, but that still leaves their meals, accommodations and transportation costs. The total Secret Service bill for the First Family’s 2013 vacation came in at almost $317,000, but there are questions as to what exactly that included. The figure dropped to slightly less than $246,000 for the Obamas’ 2015 trip, but this number reportedly covered just rented homes, hotel rooms and resort accommodations. When all Secret Service expenses for last year’s trip were tallied up, Judicial Watch calculates that the tab rose to $1.2 million, including almost $166,000 for rental cars. Judicial Watch is a non-partisan group that files Freedom of Information Act lawsuits to get to the bottom of all things governmental. And, of course, don’t forget all those black Suburbans that ferry the First Family and Secret Service around the islands. They need gas to keep them going, too. Judicial Watch received records indicating that the total “air and rail” costs for the Secret Service were $67,964 for the 2015 trip, and a total of $91,751 was paid for rental cars for the First Family alone. The Obamas are reportedly staying at a rented private home in 2016, as has been their preference over the years. A total of $224,974 was paid to Paradise Luxury Rentals and Cabana Girl, LLC for the First Family’s accommodations in 2015. It’s estimated that these homes run as much as $10,000 a night, and most of the presidential Hawaiian vacations have covered spans of more than two weeks. Technically, the President is supposed to pay for his own meals and those of his family, whether he’s in residence in Washington or traveling elsewhere. Taxpayers only pick up the tab for the Secret Service and other staffers who accompany the family on trips. Other than the overall figures attributable to the Secret Service, exact figures for these costs is unknown. The watchdog group waited about two years for its 2013 presidential Hawaiian vacation disclosures and, even then, the Secret Service redacted about 28 pages. 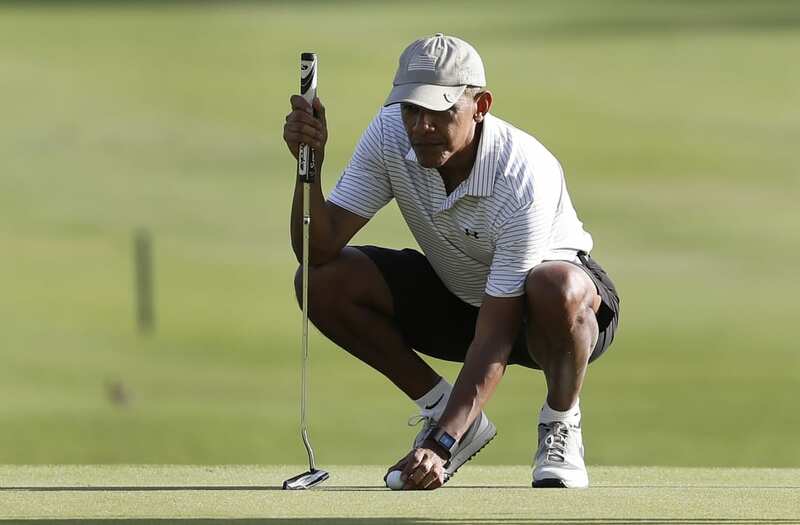 Your tax dollars aren’t paying for President Obama’s golf games or other activities. Just as meals are a president’s personal responsibility, so are leisure activities. The President was reported to have played seven rounds of golf in 2015, and he and the family went hiking and snorkeling as well, but we can assume he whipped out his own plastic for these fun times. Of course, we know that the Secret Service must have tagged along on all these excursions, but if taxpayers footed the bill so they could snorkel alongside the President, this might have been among the information redacted and blacked out before submission to Judicial Watch. More likely, however, these expenses were included in the overall figures for costs incurred by the Secret Service going on vacation, too. With all of the information gathered to date, last year’s presidential trip to Hawaii reportedly cost taxpayers about $8 million, much the same as in 2013. Figures aren’t available for other years, at least not yet, but you can bet the First Family’s 2016 Christmas vacation will be similar — if not even more. Disclaimer: All costs are estimates based on 2015 data.